Folk Studies Professor Ann Ferrell will discuss “Burley: Kentucky Tobacco in a New Century” in our Kentucky Live Series on Thursday, February 13 at Barnes & Noble Bookstore, at 7:00 p.m.
Ann Ferrell has lived in a number of states but says she has now lived in Kentucky longer than any other. Her interest in folk studies developed while she was in college. She received her BA from the State University of New York at New Paltz where she studied Women’s Studies, anthropology and sociology. She then moved to Kentucky and enrolled in the Folk Studies program at Western Kentucky University receiving her MA in 1999. After a stint working for the State Government in Frankfort she entered the doctoral program at the Ohio State University receiving her PhD in English with a specialty in Folklore in 2009. 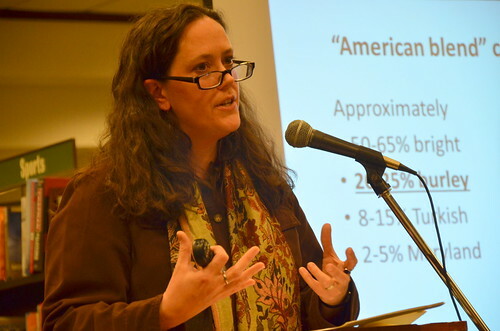 In 2010 she joined the faculty at WKU and is currently an Assistant Professor in the Department of Folk Studies and Anthropology where she teaches classes on Folk Narrative, Foodways, Women’s Folklore, and Urban Folklore. She began research with Kentucky burley tobacco growers in 2005. 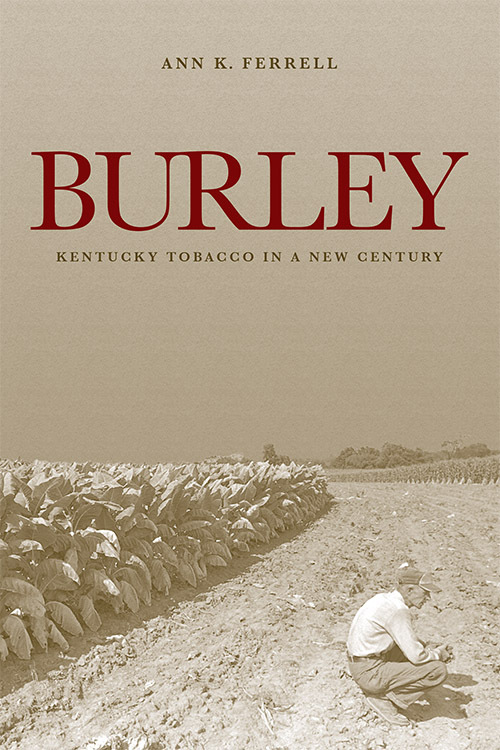 90% of the tobacco grown in Kentucky has been burley tobacco. The crop over the years became an important symbol of regional identity. 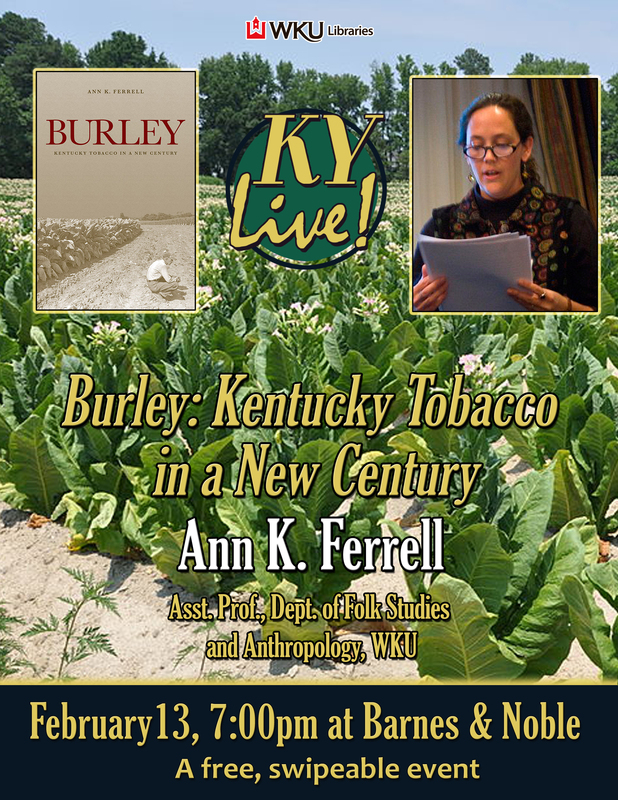 She conducted ethnographical fieldwork in Central and Northern Kentucky—the center of burley tobacco production. 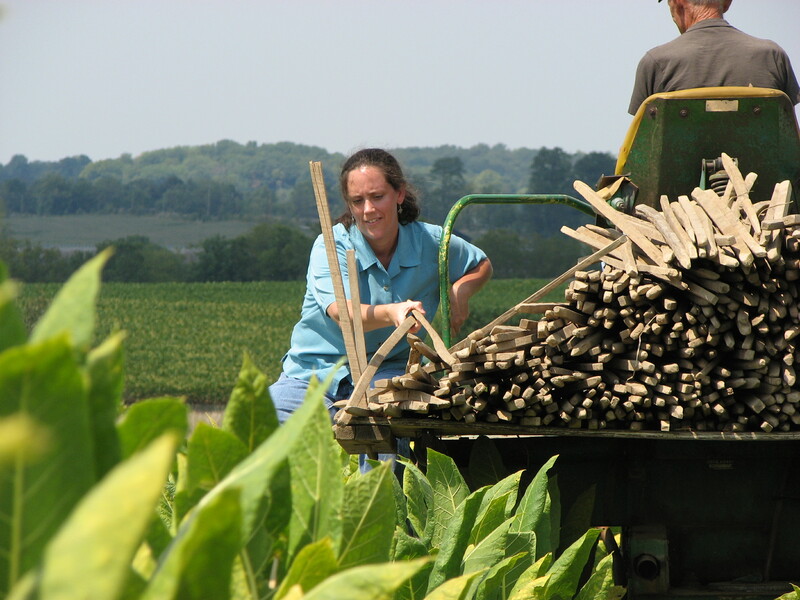 During her research she spent time on farms observing and sometimes participating in tobacco production. 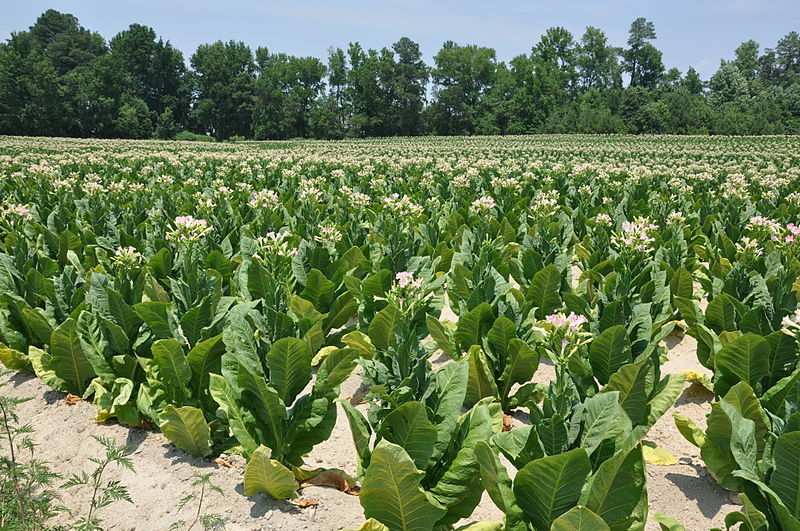 She also visited public and private sites related to tobacco and examined the printed literature from the Kentucky Department of Agriculture. She also explored the tobacco buyout of 2004, which ended the federal tobacco support program that had been in effect since the new deal. 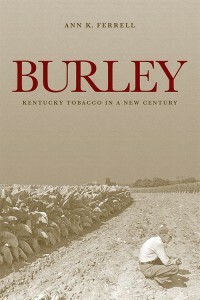 The focus of her talk, based on her recent book “Burley” published by the University Press of Kentucky in 2013, will be to share a retrospective of how people involved in the industry have viewed their past and their connections to it and what the implications of its decline are for Kentucky farmers and Kentucky’s economy and culture. A book signing will follow her presentation and an autographed copy will be given away as a door prize. We hope you’ll join us! For more information about Ann Ferrell’s research, visit her website and Facebook!